The deep pop-culture penetration of this short experimental film from the ‘60s is a remarkable achievement. At a mere 28 minutes in length and featuring only still photos, it creates remarkably strong and poignant high concept science fiction with a strong humanist/existential drama. The piece was surely a vital influence on Terry Gilliam’s 12 Monkeys, as well as James Cameron’s time bending love story in The Terminator and, by association, any time travel film after that. Even Christopher Nolan’s Inception is born from the perplexing notions of manipulating dreams and time paradoxes. 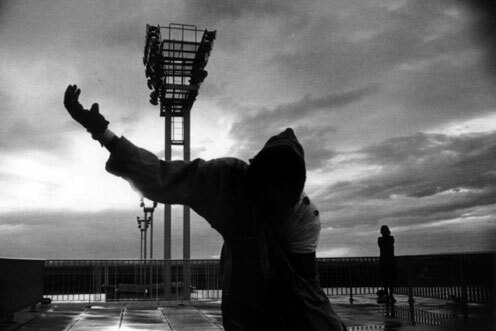 Hell, even Groundhog Day owes something to La Jetee. Several attempts at going back into the past results in the man meeting an alluring woman from the past. Each journey brings him closer to her, eventually forming a genuine relationship. After completing his mission his doctors turn on him and track him down in the past to assassinate him, but not before he comes face-to-face with a remarkable existential revelation.